A paste for use with oil gauging tape. The colour of the paste will change from yellow to red upon contact with water. A chemical paste used with oil gauging tape for measuring the presence of various of oils. 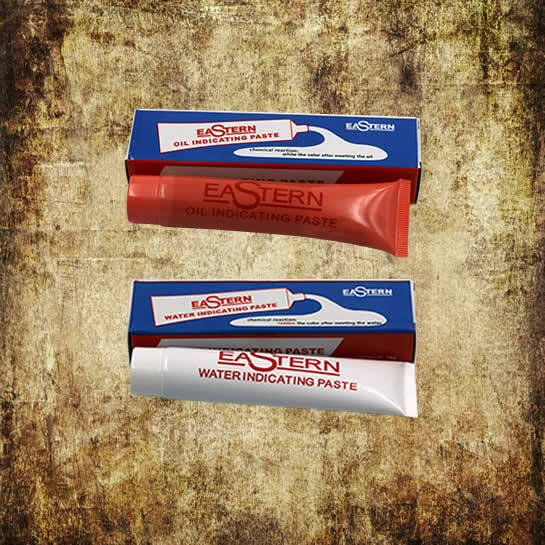 The colour of the paste will generally change from light blue to red upon contact with oil. This paste will detect almost any kind of oil including mineral oil, vegetable oil, and animal oil. And solvent such as benzol, alcohol, acrylic solution, alkaline solution, and spirits.